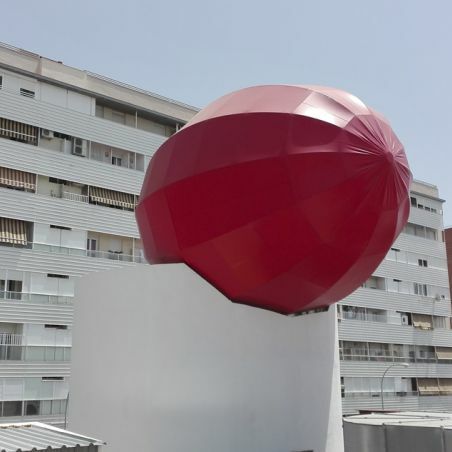 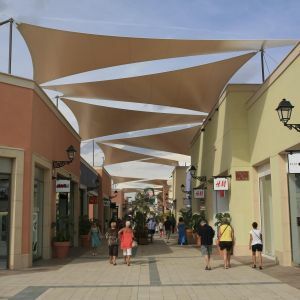 The new tensile structures for the Zenia Business Centre offer shady spaces for the centre’s different streets. 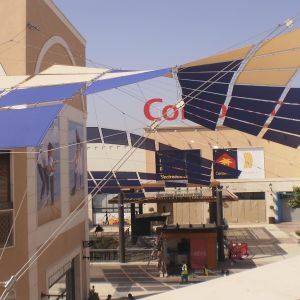 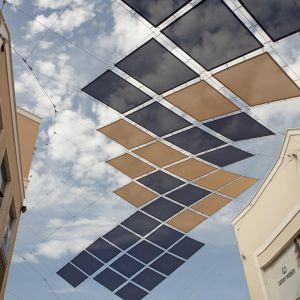 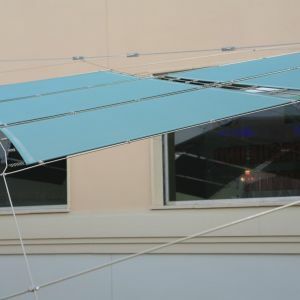 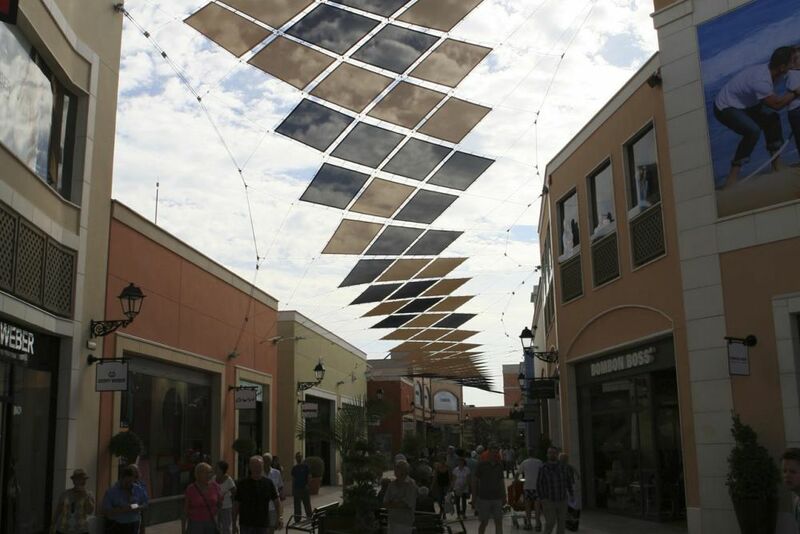 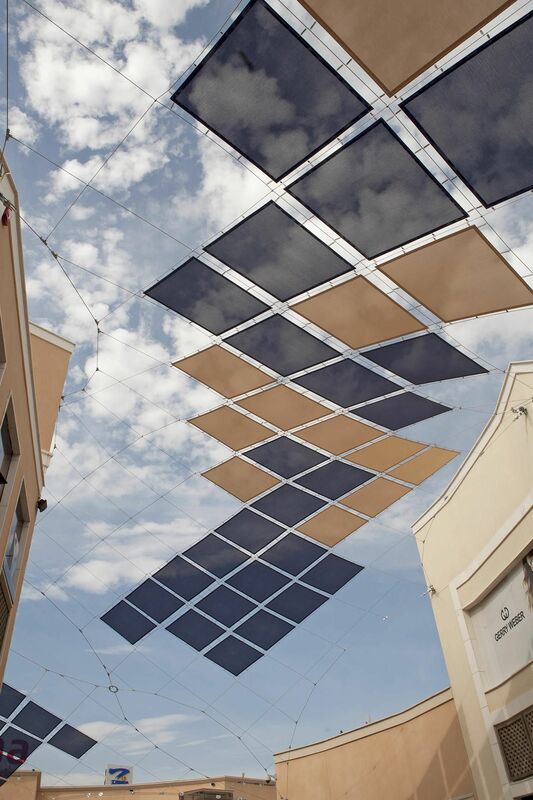 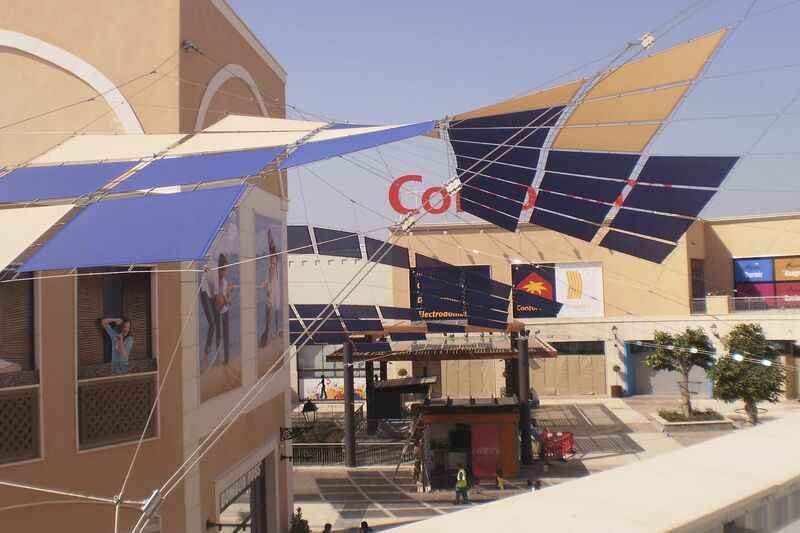 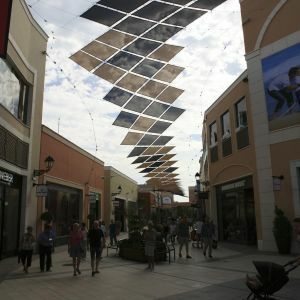 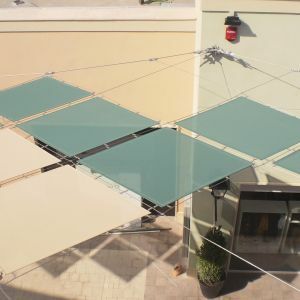 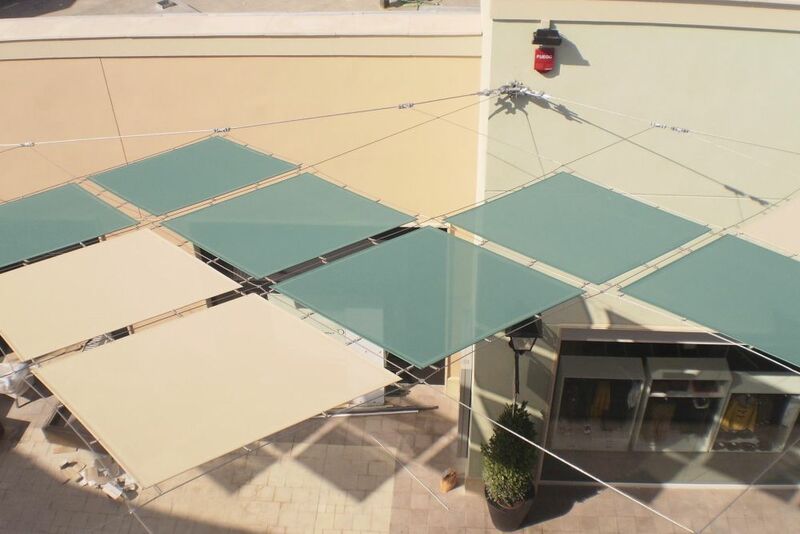 A textile covering is installed on Calle las Olas, made from tensioned stainless steel cables and a UV-resistant polyester mesh. 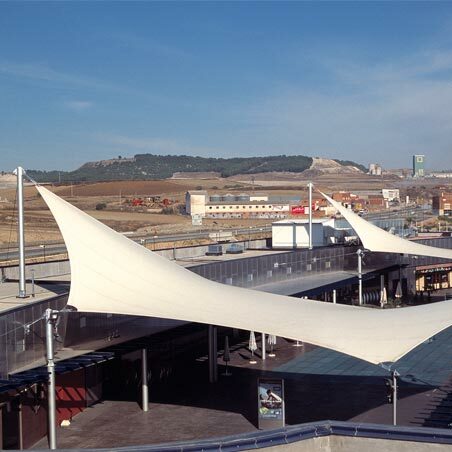 On Calle la Lonja, a paraboloid structure has been made with a PVC-coated polyester fabric. 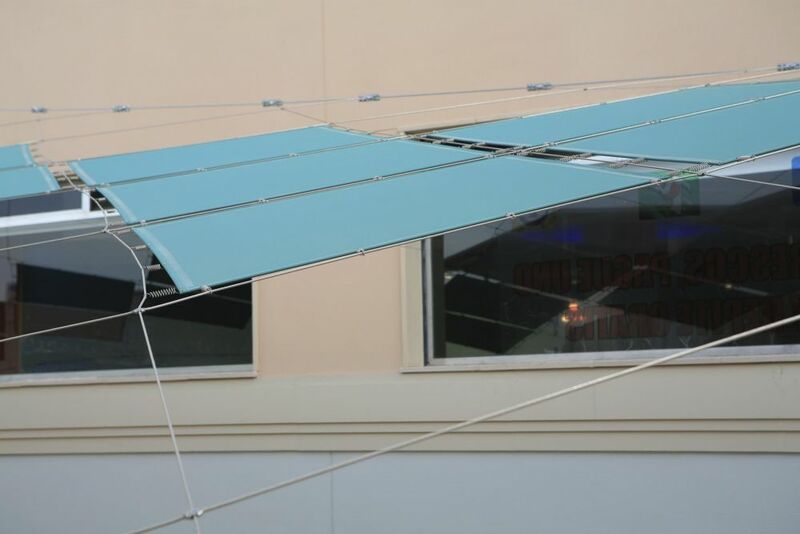 Finally, another tensile structure makes up the covering for the pergola of the food court area and Playground. 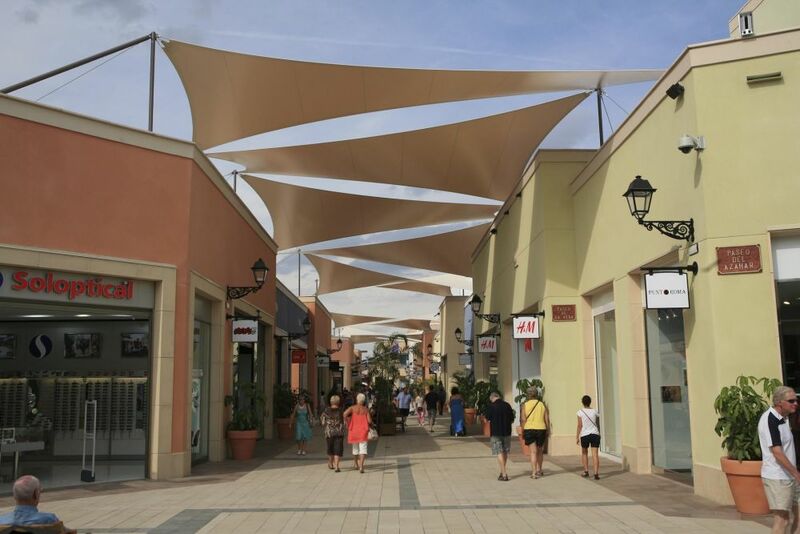 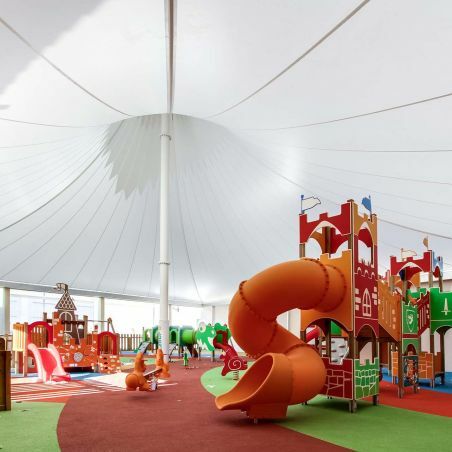 The different tensile coverings are made with distinct designs, but all provide shade. 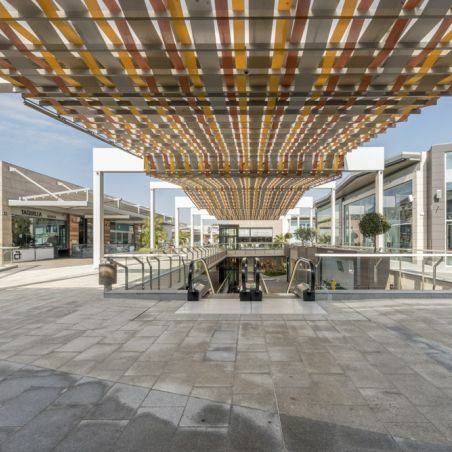 The play of colourful fabrics protecting the different streets of the Shopping Centre provides a lightness to this commercial space.